Traditional, filled, or unique - here are our favorites! While everyone else is beginning to track their new year’s resolutions and saying goodbye to sweets, New Orleans is preparing to welcome back one of their sweetest and most beloved delicacies: King Cake. 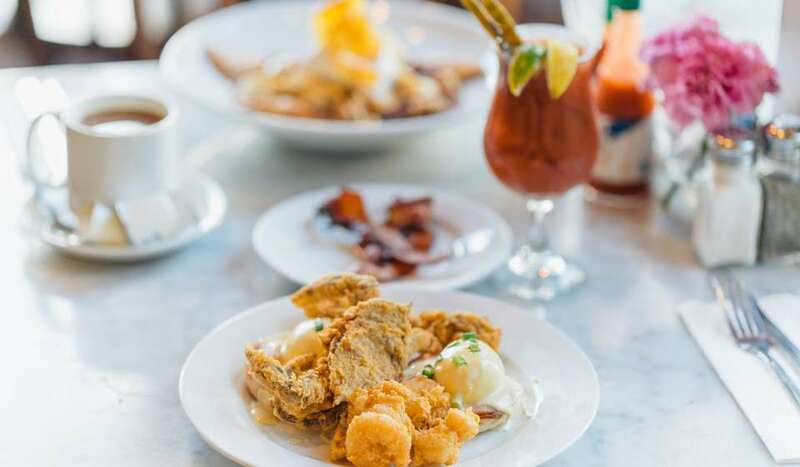 If this is your first time in New Orleans during Mardi Gras and you’re ready to indulge like a native, check out a few of these places listed below to fulfill your king cake curiosities. Want to bring some of the sweetness home? Check with the individual bakeries, as many will ship king cakes all across the country. 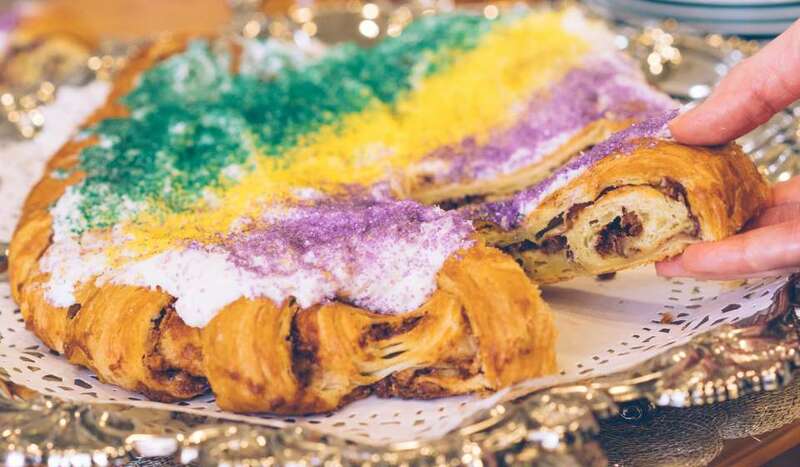 Boasted by locals far and wide as the best king cake in the state, Randazzo’s is a Metairie-based bakery dedicated to king cakes and only king cakes. 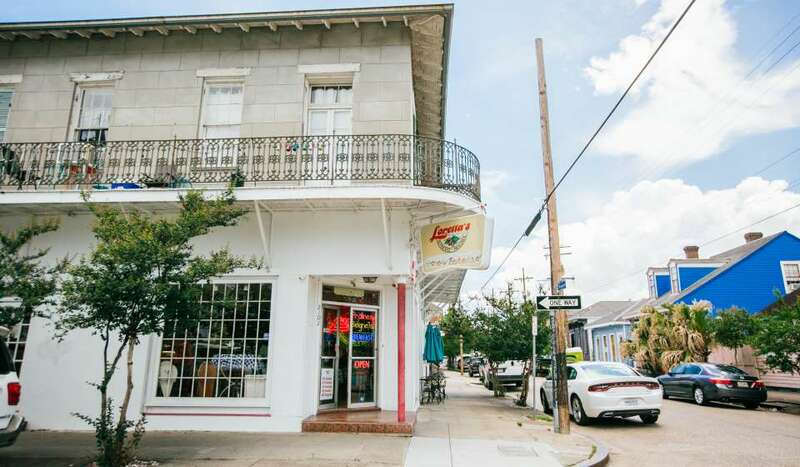 Once the shop opens in mid-December, patrons can expect lines wrapped around the building and down the block for one of their famous king cake creations. 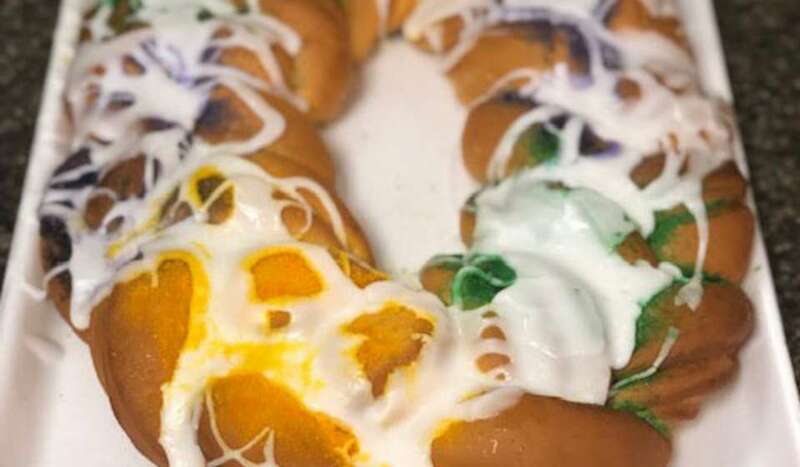 You can choose from flavors such as strawberry cream cheese, pecan praline, lemon, apple and more, but most will tell you that the traditional king cake does the trick from Randazzo’s. Won’t be in the city for Mardi Gras? No worries. Order one of Randazzo’s specialty king cakes online with their overnight delivery. 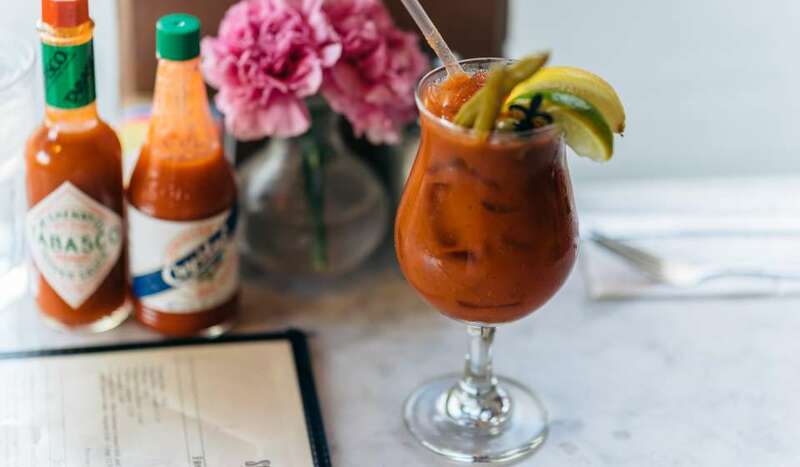 Praised by the James Beard Foundation, Food Network and even the New York Times, Dong Phuong is a Vietnamese bakery located in New Orleans East. While they specialize in French bread used to make their signature Banh Mi, this beloved bakery offers king cakes every Mardi Gras season. Each year, beginning January 6, Dong Phuong expands its menu of sweet and savory baked goods to include this New Orleans classic. Known for her treats that offer a “taste of New Orleans,” Adrian’s Bakery offers a selection of their special king cakes year-round. Ask about their double-filled or supreme king cakes so you never have to choose between flavors again! For orders outside of Mardi Gras season make sure to call two days in advance and you can enjoy king cake on any given day of the year. 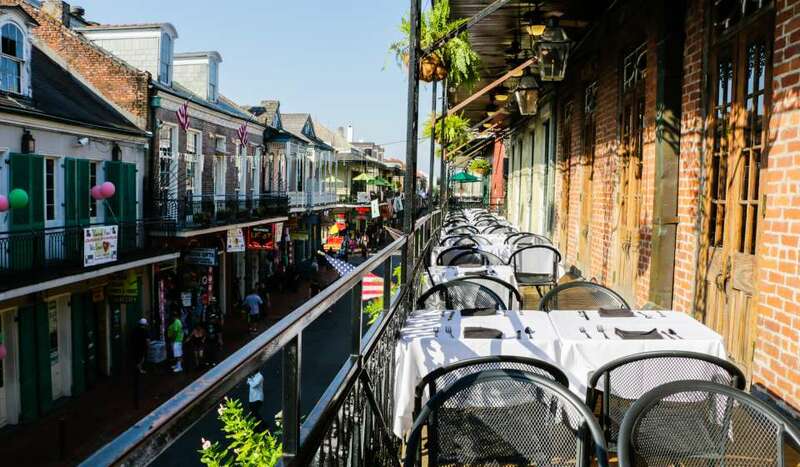 Voted a fan favorite by the Times-Picayune in 2012 and Best King Cake by a 2011 Washington Post blind taste test, Sucre is a boutique sweet shop known for its decadent and fanciful desserts. 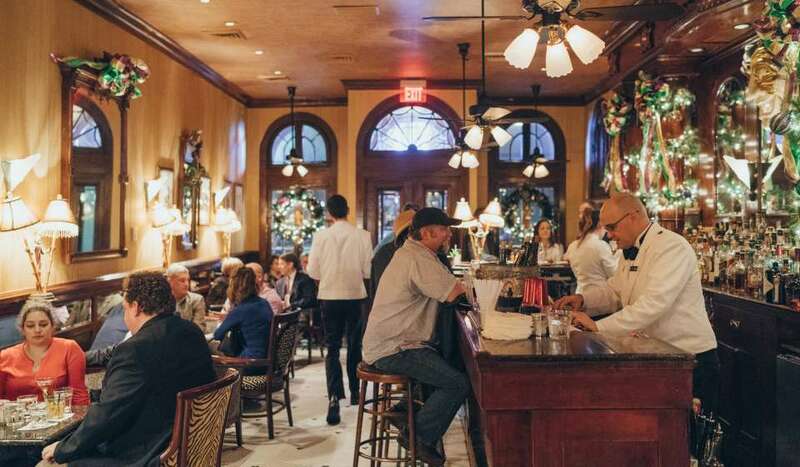 Their housemade king cake is no exception to the stellar lineup of treats that they offer. Beginning January 6 of each year, Sucre rolls out their award-winning king cakes for Mardi Gras. 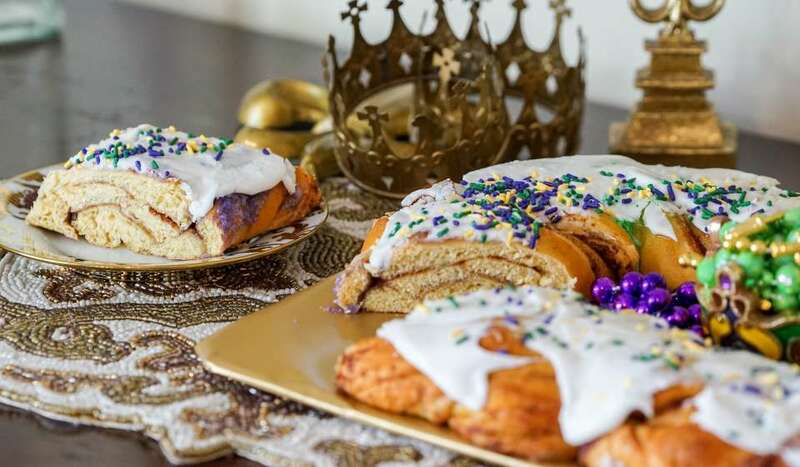 Made with Sucre’s signature butter danish, sweetened with cinnamon and raw cane sugar and then baked with a light layer of Creole cream cheese and topped with edible glitter, Sucre’s shimmering king cake is as beautiful as it is delicious. Nestled on Oak Street, a quaint Uptown hub is Breads on Oak - an artisan vegan bakery. 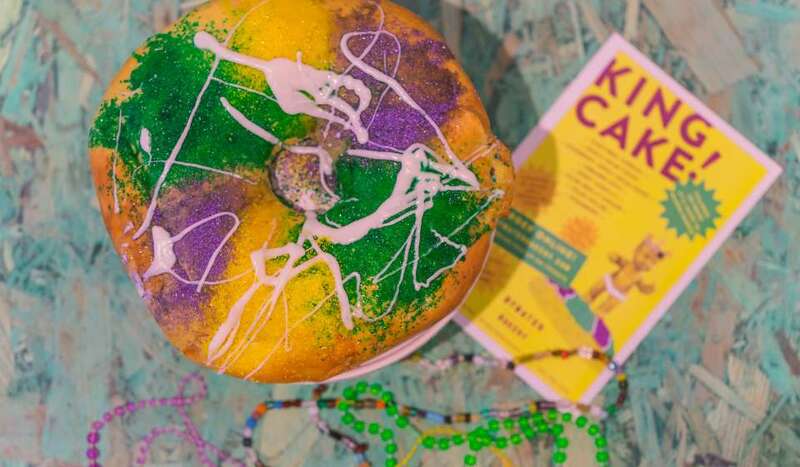 Enjoy all the treats and fun of Mardi Gras with their vegan-friendly, organic king cakes. In addition to traditional cinnamon king cakes, Breads on Oak also offers vegan-friendly cream “cheese” filled, almond cream and praline pecan king cakes. Starting in January, you can pick-up king cakes in store or have them shipped every Wednesday until Mardi Gras day. Located in the heart of the Bywater, stop by Bywater Bakery for a selection of unique and freshly baked king cakes this Mardi Gras season. Like many others, Bywater Bakery begins its king cake storm Jan. 6. Their array of cakes includes cheesecake filled, chantilly filled, pop rocks incrusted and many more. Shake up your king cake selection this year at Bywater Bakery! It should come as no surprise that the queen of pralines makes her mark on another legendary New Orleans dessert. Alongside her specialty pralines, beignets, cookies and pies - Ms. Loretta also serves seasonal king cakes. 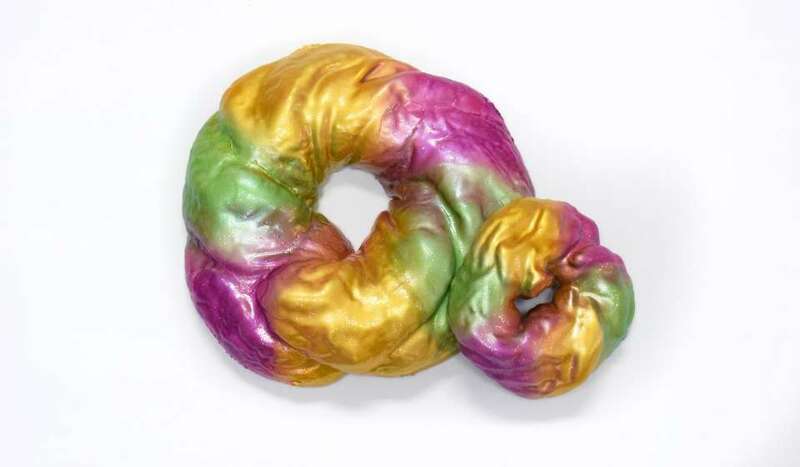 Lemon, cherry and apple-filled cakes are available, but all bets are placed on her praline cream cheese filled king cake. Beginning in December, stop in for a slice or even a whole cake. 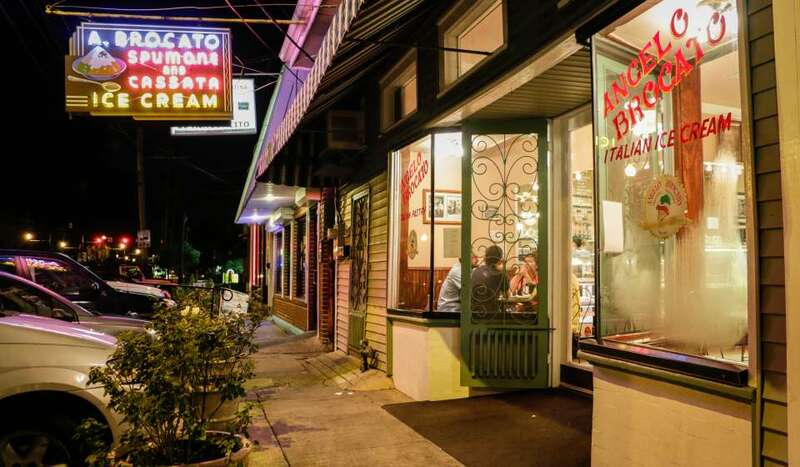 For over 100 years, Angelo Brocato’s has made its mark as a local Italian sweet shop offering gelato, cannolis, biscotti and other pastries and treats. With the aid of the Harahan-based Caluda’s King Cakes, Angelo Brocato’s offers up some of the tastiest king cake in the city. Traditional, praline filled, raspberry cream cheese and more are brought from Harahan to Mid-City each and every Mardi Gras season! This is just a short and very sweet list of must-try king cakes across the city. 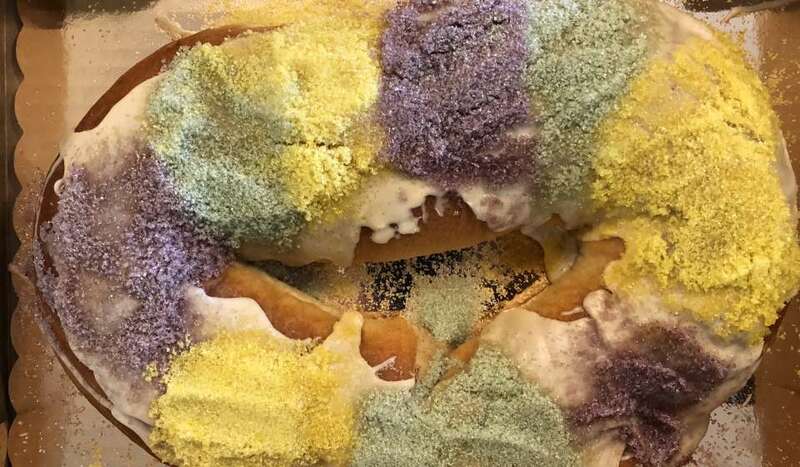 For more bakeries offering king cake and to learn more about the history and tradition of king cakes in New Orleans, visit here.